As readers of NLM will know, the new magazine Altare Dei has already made quite a splash, with many interesting articles on sacred music, the liturgy in both forms, interviews, commentaries, and especially the musical insert at the heart of each issue, which offers readers several pieces of sheet music, all at a cost that would usually be charged just for a single piece of music. 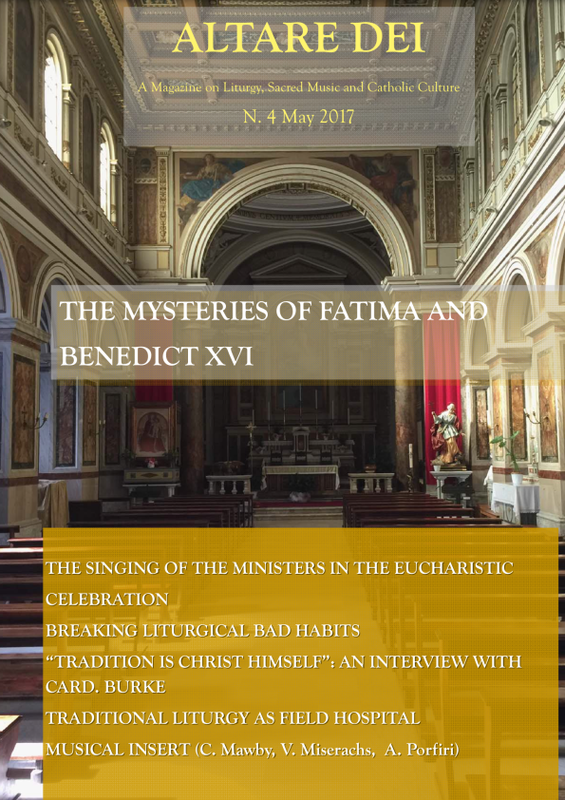 Thanks to reader feedback and editorial review, Altare Dei has adopted a new format, more elegant and attractive, and easier to read. The fourth issue also features a number of new writers and some very interesting themes. The table of contents may be found below. 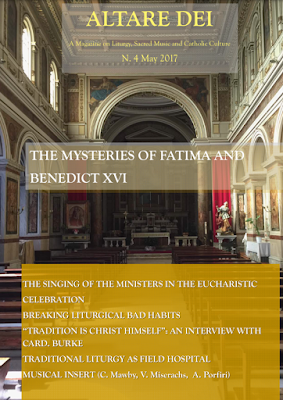 Allow me to draw your attention in particular to Marco Tosatti on Fatima, Cavalcoli on Schillebeeckx, an article from Denis Crouan (whom we in America have not heard from in a long time), and Fr. Spataro contributing a piece with the explosive title: "The Traditional Liturgy as Field Hospital." And lots of other good stuff. This is the best issue so far. To purchase a copy (€6.80), visit here. "The Shroud: History and Mystery"